My husband loves finding pizza spots whenever we travel, and while in Indy, we went to award-winning Bazbeaux Pizza. The pizzas tasted as fabulous as they looked! The B.O.T. was topped with bacon, red onion, tomato and basil. 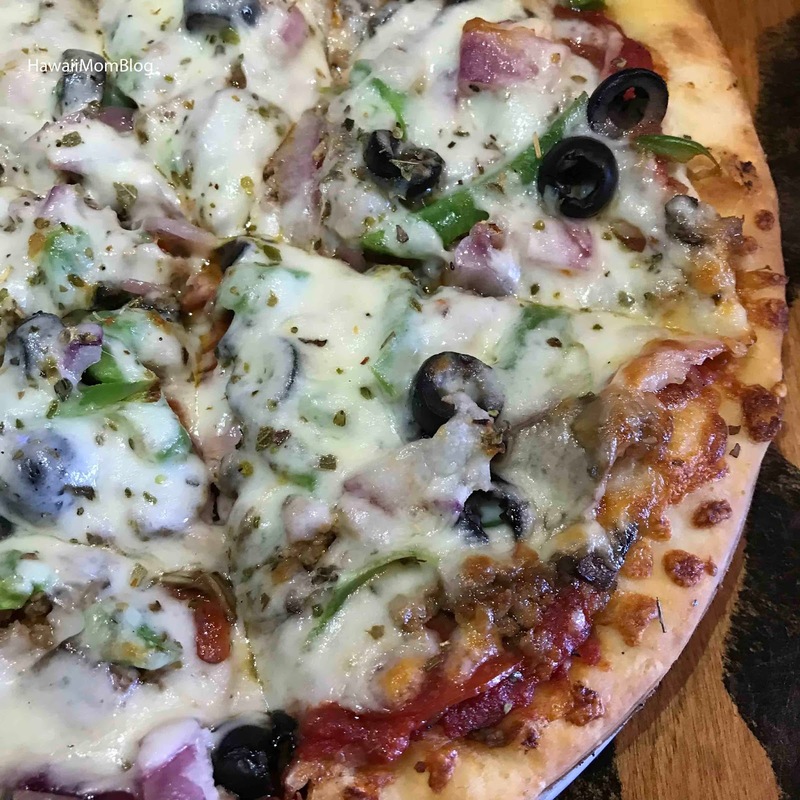 The Colossus included pepperoni, Italian sausage, ham, mushroom, red onion, green pepper, and black olive. We also ordered a "create your own" pizza with bacon, spinach, and pepperoni. 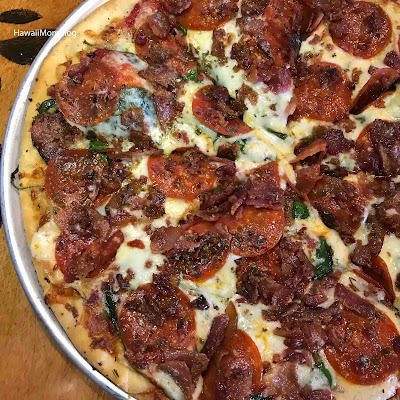 All pizzas are made with a blend of provolone, mozzarella, Pecorino romano cheeses and homemade tomato sauce unless otherwise specified, and you can choose white or wheat crust. Gluten-free crusts are also available. 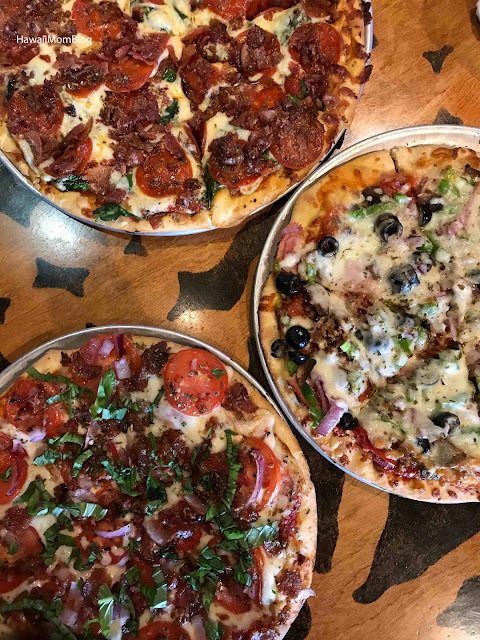 All of the pizzas were so delicious with a perfect thin crust. If I had to choose a fave, it would be the B.O.T. 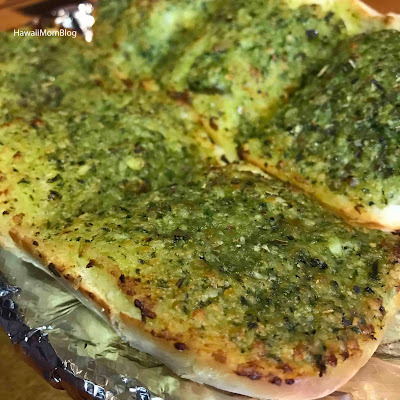 The Garlic Bread can be ordered with cheese or pesto for an additional charge. I love pesto, so I opted for that version. So good! 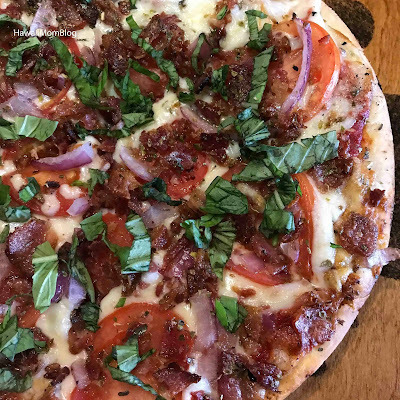 Salads and sandwiches are also offered, but you must get a pizza if you go to Bazbeaux!